However, with one listen, you can tell they worked hard to make songs with a large musical presence notably with stronger guitar lines, a tighter rhythm section, more vibrant keyboards, and bigger vocal arrangements. 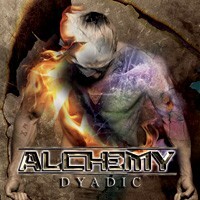 Alchemy has out done themselves for their second album. Showing fine musical maturity and creativity, Alchemy has delivered a fine and entertaining album of AOR melodic hard rock.